One of the wonderful things about friends in virtual worlds is that they are really friends. It is heartwarming to be a part of a community where everyone cares about each other. This is not the first time... but today a dear member of the Elf Circle community crossed over and the news spread... all are saddened by the loss of a friend. Many gathered at the drum circle, the community gathering place, and danced and shared some memories of her. There are places to place a candle in memory, and places to sit quietly and remember. Treasure the friends who are here, and remember those who have gone. Skyspinner loves to explore, to meet people, to listen to live music, to make videos, take snapshots, shop, landscape, participate in groups and activities, teach, work, and more! 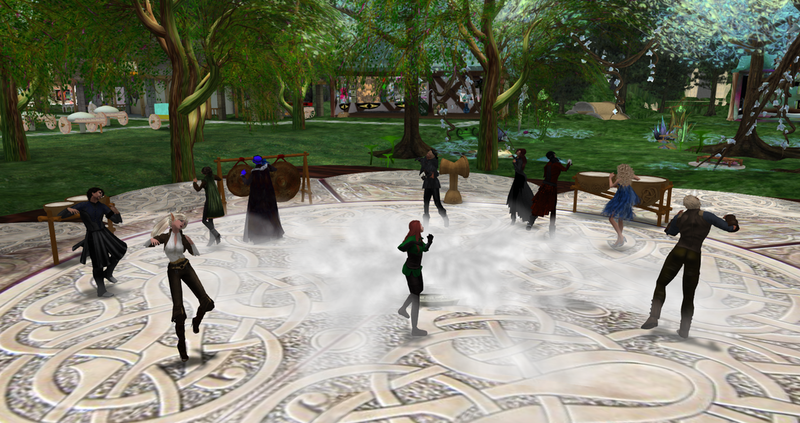 Virtual Worlds - where you can find fun,creative, and talented people! Join and be a part of it!